One of the advantages of Microsoft’s Office 365 suite, Microsoft claims, are the ongoing addition of features, which suddenly show up on a user’s desktop. But on Thursday, Microsoft published an upcoming roadmap of those features, recognizing that it needs to sell those features to new and existing users. Microsoft’s new Office 365 roadmap will live on its website, providing an ongoing ruler by which to measure which features have shipped, which are rolling out, and which are under development. The level of detail is impressive, with a bulleted list of features that can be expanded to provide more detail and then redirected to a new page for a more complete explanation. 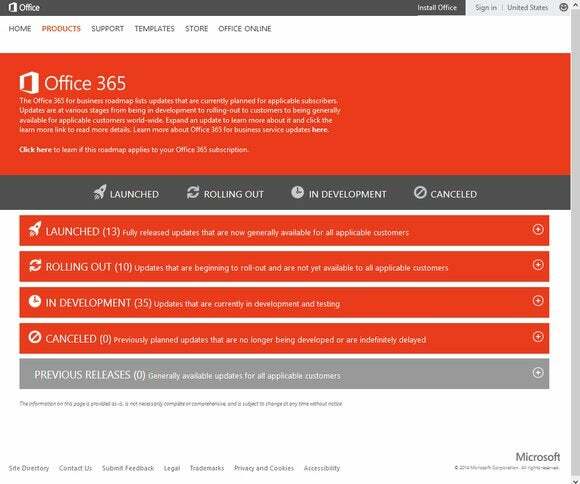 One key addition is Office 365 First Release, which will give subscribers the option to receive new features at least two weeks before customers on the “Standard” release cycle. 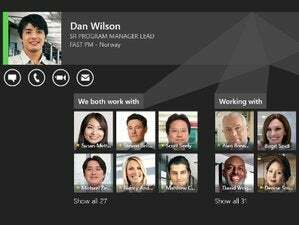 Microsoft executives said in a blog post that communication is the key. 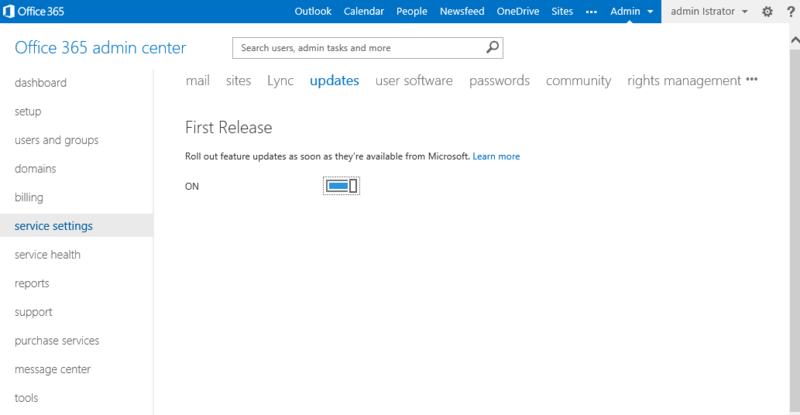 Here’s how to opt in to Microsoft’s First Release feature for Office 365. “The public roadmap will be your best source of truth for product enhancements coming to the service,” Zborowski added. In most cases, the extent of the timeline will extend outwards just a few months, with a few exceptions, including major updates like Microsoft’s Project Oslo and the Office Graph. Apps for Excel Online and Office Preview for Word Online: Like the desktop versions of Excel and Word, apps will be coming to both online versions. With Word Online, “pre-configured,” pre-selected apps will automatically show up in the toolbar. Card view in Outlook Web app: Group conversations will be organized in a card view to make them more consumable. Clutter view for Outlook: Outlook Web App will eventually filter out unnecessary email, and “Clutter” view will show them all. Custom UI themes for organizations. Document collaboration for Outlook Web app, allowing users to quickly edit documents that are emailed to them. Office 365 video, providing a secure, company-wide destination for video uploads. Office Online in Yammer, which will link Office Online for documents shared in Yammer. There are more, of course, which will be constantly updated as Microsoft’s update engine rolls on. But Microsoft is addressing a primal geek need: everybody loves new features, and everybody wants to know when they’ll arrive. Microsoft has taken an important step to satisfying IT admins and new users alike with its new roadmap.